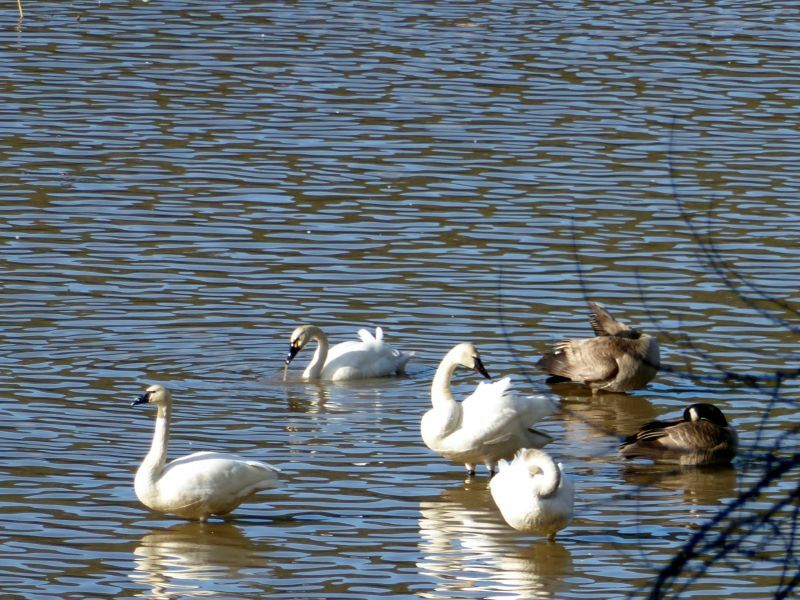 I went to town yesterday and was delighted to see the Tundra swans have returned. 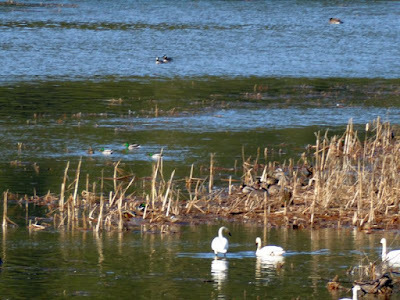 Hundreds and hundreds were spread across the marshy areas, engaging in courtship behavior. They weren't in the deep-water parts of the lake, but stayed in the shallows where nesting is possible. I saw a lot of "bottoms up" poses as they dipped under for food. From a distance they made a white line on the water. It's just hard to beat the sight of so many of these beautiful birds. On the way back from town, I stopped at a spot which I knew overlooked another marshy area. Sure enough, hundreds more swans. The air was full of the "hooting" noises swans make (with a few mallard quacks and Canada goose honks thrown in). 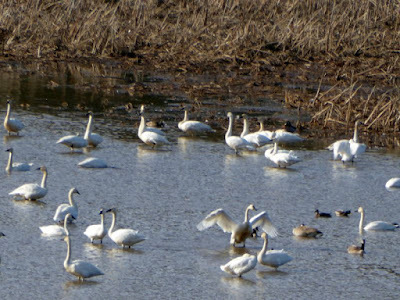 Tundra swans are sometimes called "whistling" swans, and their call is indeed like a low-pitched throaty whistle, very soothing (at least from a distance). 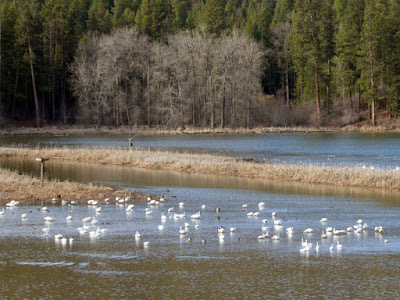 Around here, it's a sure sign of spring when the swans return. Sometimes it's good to pause and remember what a beautiful world it is. You are right, sometimes it is important for all of us to step back and remember what a beautiful world our Lord created for us to enjoy. May God bless you and your family! 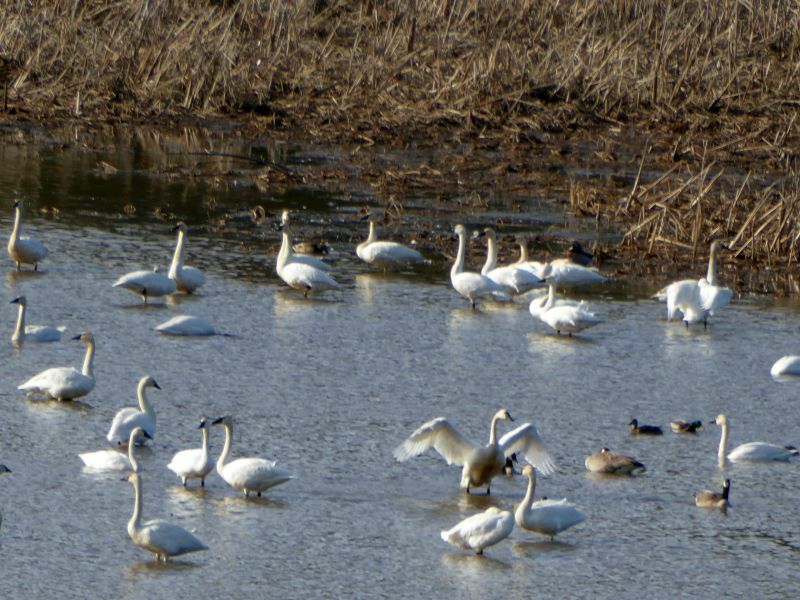 A couple of weeks ago here in the Willamette Valley we saw literally thousands of swans in a farmers field. I have never seen more than 5 or 6 swans at a time before this. It is common to see a couple thousand geese out in these fields enjoying the new grass but swans! 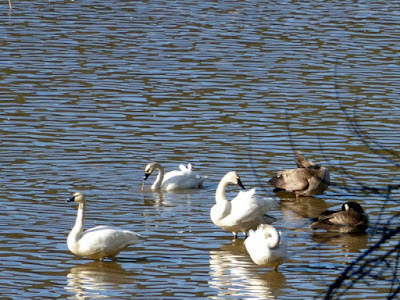 I first thought they were snow geese because they were solid white but my wife noticed their necks were quite long and after looking more closely and looking it up on the internet sure enough they were swans. I had no idea they gathered in such large groups. And so are the replies above. Yesterday we had Mallard ducks in our pond, and today we had a visit from a Kingfisher. The Ravens have collected the most of the big pile of combed out dog fur from the Great Pyrenees and are busy building their nest. Why, we even had sunshine today,and I still haven't built a fire. They leave the Columbia River Gorge in late winter, now I know where they go! Thanks Patrice. They also come here to southern Ontario in large numbers when they are migrating. 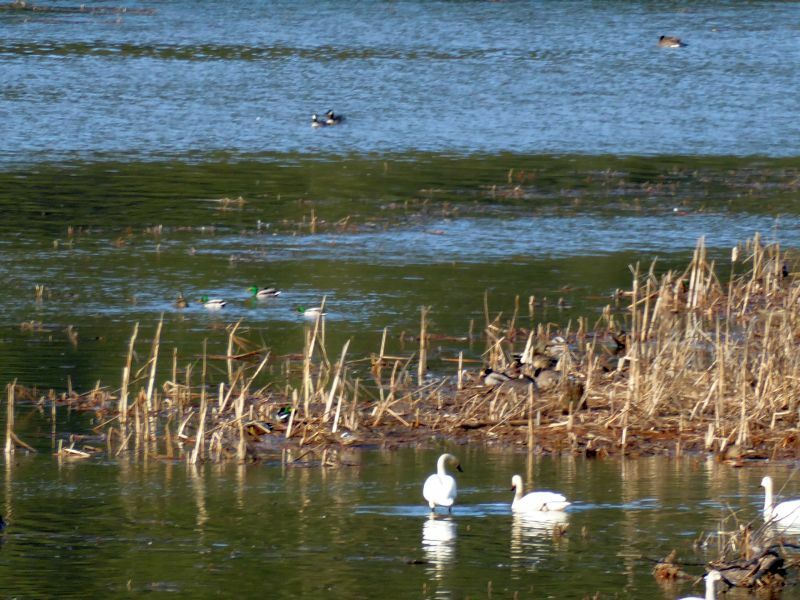 There is even a sign up from the conservation area with the approximate number of swans counted per day. They are gorgeous creatures, and our God is amazing! Is that Pend Oreille? I lived outside of Athol for about 14 years. Heard the area is building up now. I wounder if there is still the blinking light at the 95? I sure do miss North Idaho.Your site brings me back. Thank you.